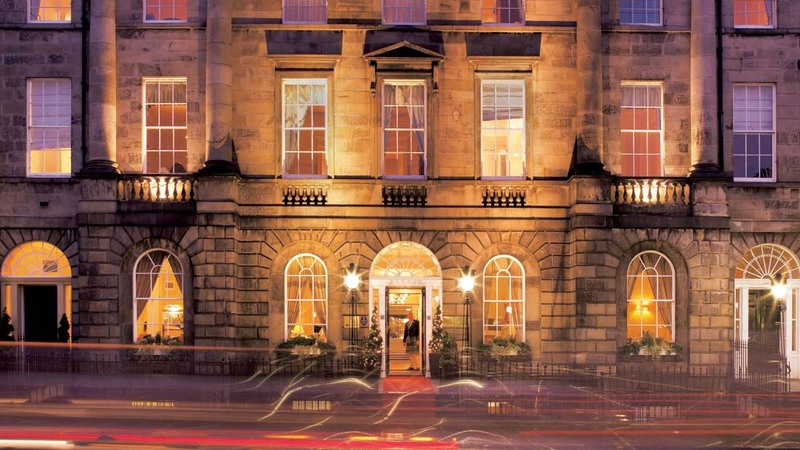 Overlooking a charming private garden, The Principal Edinburgh Charlotte Square has been fashionably remodelled in a major refurbishment of the former Roxburghe Hotel. Across seven Georgian townhouses are elegantly designed bedrooms and suites, colourful, comfortable lounges and a glass-roofed indoor Garden for Twilight Tea, gourmet snacks, champagne and cocktails. For its glamorous revamp, The Principal was named “Style Hotel of the Year” (Edinburgh) at the Scottish Hotel Awards 2018. A retro design theme is observed from the moment you walk into the lobby with its battered leather suitcases, books and an antique hat stand to evoke a time travel trip into the past and to exotic places. 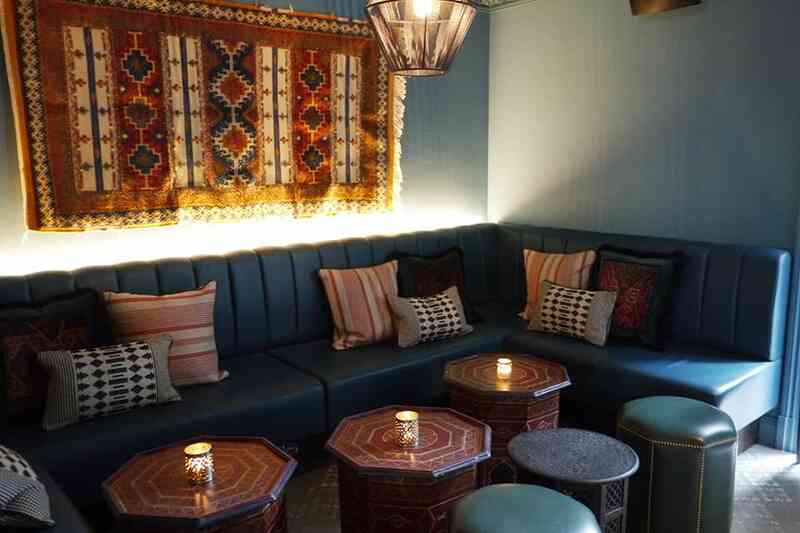 This fits perfectly with the culinary theme of the BABA Cocktail Bar and Restaurant serving classic Levantine cuisine of the Eastern Mediterranean. 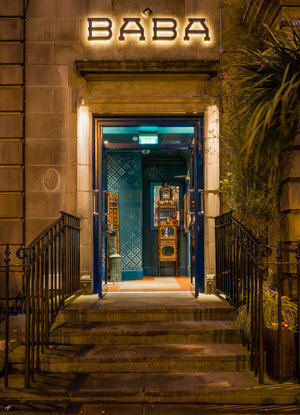 BABA’s cocktail bar is located through the hotel beyond The Garden, or also accessed around the corner and up the steps at 130 George Street – a cool blue, dark, dramatic space, with large sofas, piles of cushions, soft candle light and a long Bar counter with row of high stools. 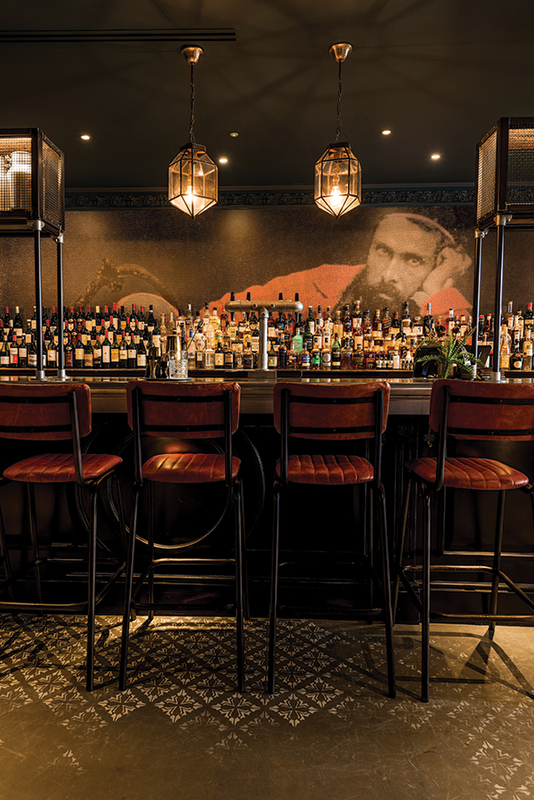 A mural illustrates a fictionalised character, Mr Baba, based on a vintage photograph found in a Turkish souk: this mysterious gentleman is the inspiration behind the exotic food and drinks based on his travels around the Ottoman Empire. This is a similar scenario to The Voyage of Buck, William Street, former home of William “Buck” Clarence before his adventures to Paris, Cairo, Havana and India: the Bar’s cocktails reflect the people and places en route. On arrival at around 5.15pm, the BABA Cocktail bar was unfortunately (and surprisingly) closed so my partner Ken and I were unable to experience this romantic hideaway for an aperitif before dinner. We therefore ventured next door to the BABA Restaurant and shown to a spacious and comfortable booth (shown here) in the corner. 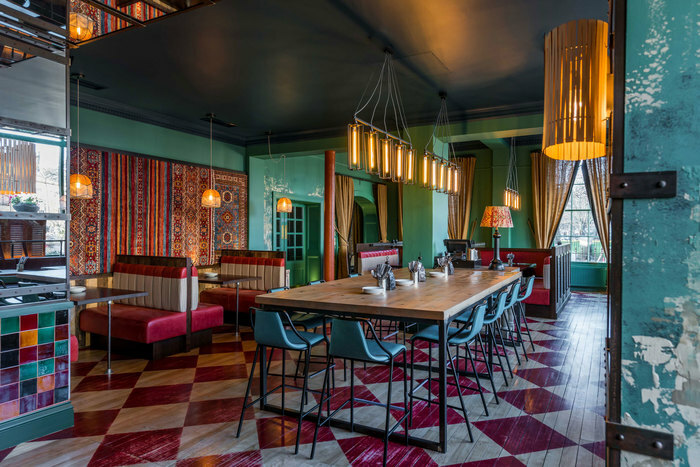 The décorative design is all about distressed green and teal paint, colourful tiles, vintage lamps and Kilim wall hangings – a quirky, colourful blend of industrial chic with Moorish vintage vibes. A funky jazz soundtrack too hits the right, laid back mood. 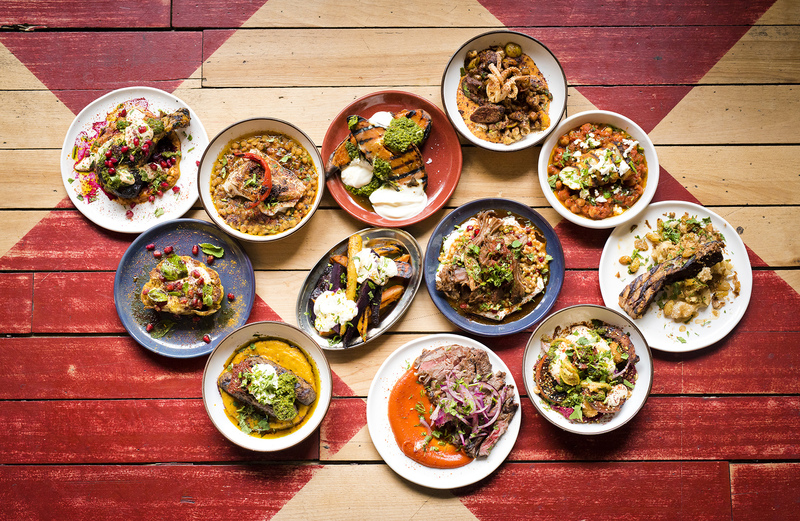 The Levant covers the modern states of Jordan, Lebanon, Israel, Palestine, Syria, southern Turkey, and Cyprus all sharing strong Levantine influences – falafel, tabbouleh, hummus and baba ghanoush as well as grilled fish and meat. Mezze is an ancient tradition of the Greeks, Romans, medieval Arabs and Ottoman Turks, derived from the Persian ‘Mazza’ meaning ‘taste’ or ‘relish’ and designed as lighter dishes rather than hearty meals. First of all the essential Cocktail to kick of the evening in sophisticated style. Ken selected Barberry Sour – Glenkinchie 12 year old single malt, date and barberry syrup, Cointreau, lemon and egg white, – a subtle citrus, smoky flavour to give the whisky a sharp kick. 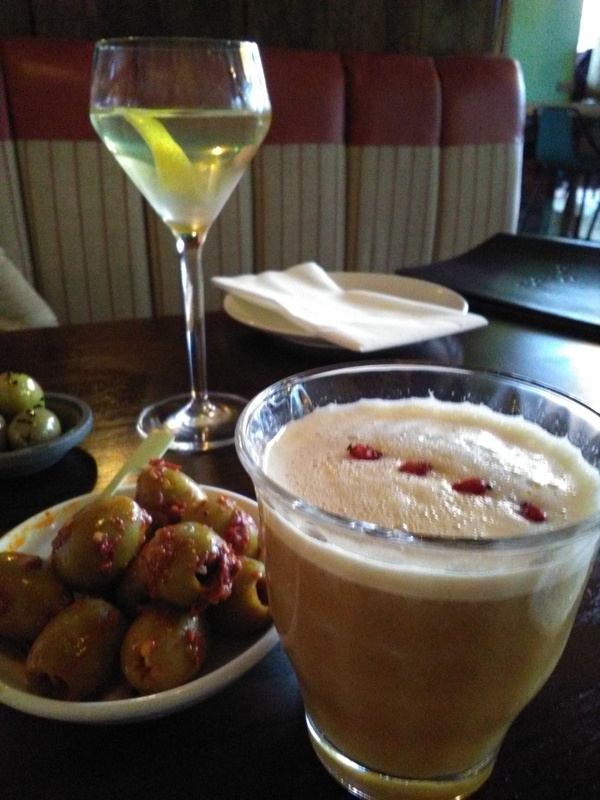 As a devout Gin fan, I order the SesaMartini, a concoction of Sesame Gin, dry Vermouth, orange bitters and halkidiki olives, a clever twist to a Dirty Martini. Other inventive concoctions include Bloody Mariam, a B. Mary jazzed up with ras-el-hanout, sumac and harissa, and a Peach Baba-llini, in tribute to the Harry’s Bar classic. With a bowl of olives to accompany our Cocktails, we studied the extensive menu. Our waiter explained that each Tapas style dish is about the same portion size and diners should choose about three each – six to share between the two of us from the Mezze, Grill and Sides. 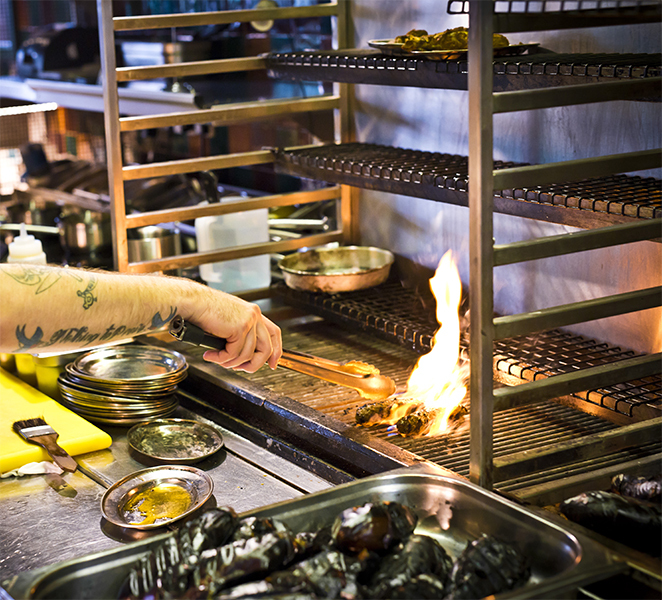 BABA has an open kitchen where you can see the Chefs at work, with its specially commissioned Charcoal Grill to cook a variety of fish and meat, Levantine-style over coals. 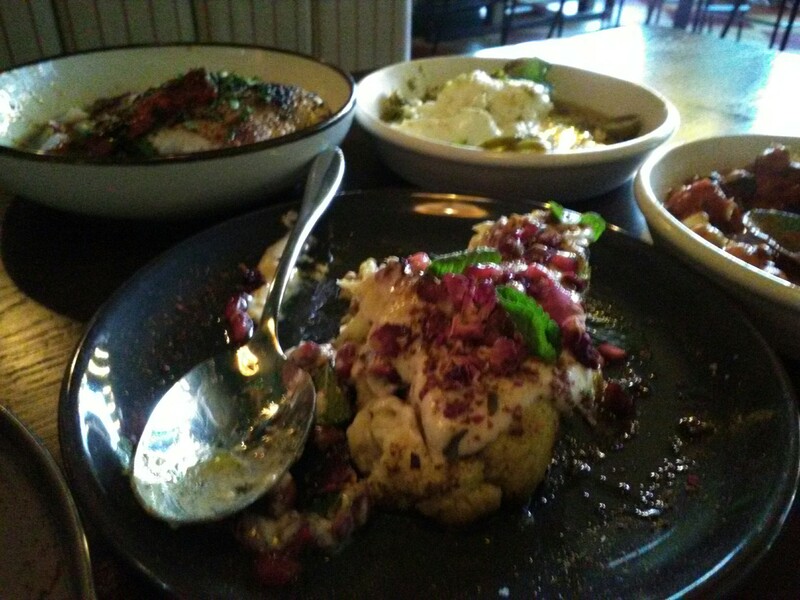 We selected Baba Ganoush, pomegranate and mint, & Beiruti Burrata (Mezze), Monkfish & Hake (Grill) and two Sides – spicy Cauliflower & Carrots. 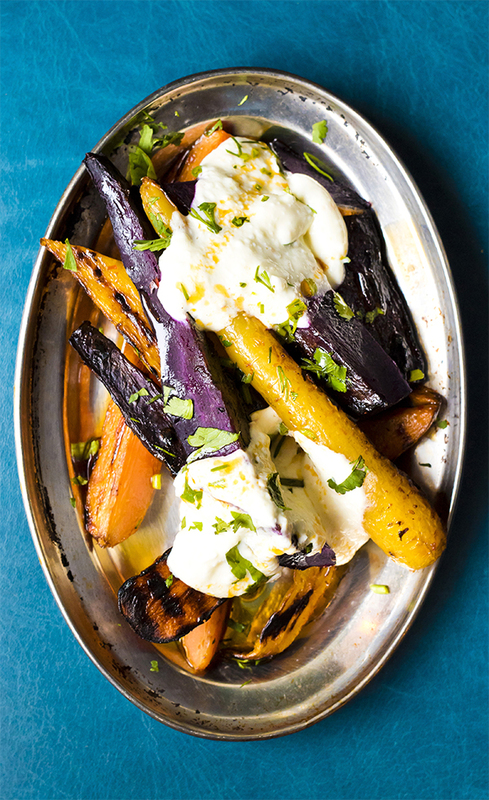 It might be helpful if the menu had symbols to clarify all vegetarian and vegan food, especially if unsure of a few unfamiliar ingredients – Muhummara (roasted red pepper dip), Labneh (yogurty cream cheese) and Za’atar (a spice like oregano). Our order of dishes, we are warned, would be presented any which way as prepared .. and sure enough, (far too quickly as we had only just started to sip our cocktails), the two Mezze salads appeared with warm flat bread; this was delicious with the perfectly pureed, garlicky aubergine dip, dotted with pink pomegranate seeds and fresh mint leaves. Then the Side dishes arrived, followed (again too swiftly), by the grilled Fish. Our BABA banquet was served! The Wine list is eclectic to complement the cuisine with a specialist Mr Baba Cellar collection from Cyprus, Lebanon, Turkey and Greece, as well as house wines, such a crisp Spanish Sauvignon Blanc or a blackberry-ish Syrah from South Africa. Also all bar drinks – Fizz, beers and ciders. We sampled creamy Burrata cheese, a slice of cauliflower beautifully seasoned with ras-el-hanout, (an exotic blend of seven spices), blackened char-grilled Carrots, a delicate white slab of monkfish in a rich saffron, tomato & chickpea broth, and Hake with yellow split peas and butter sauce. The plates are rather small so just take a little spoonful of each, then go back for more, mixing flavours and textures, cold and hot food together. Sharing a meal in this way is always such fun, when you talk about little else but the taste of the food!. Meat lovers can sample Shawarma dishes, (Arabic for “turning”), the traditional method of slowly grilling chicken, beef and lamb on a horizontal or vertical spit over hot coals or firewood. Just like the Turkish Doner Kebab, this Lebanon delicacy ensures that the meat is equally cooked on all sides. At BABA you can try Baharata Beef Kofta with butternut, yogurt and Aleppo chilli, and slow-cooked Pork Belly with baked celeriac and raisins. Finish perhaps with a Chocolate Cremaux and Tahini ice cream or a rich Arabic-styled coffee infused with dates and cardamom. There is a large team of young, friendly staff but it would be better if each table had a designated, named waiter to offer more personal attention. With the speedy service of our meal at the same time as pre-dinner cocktails, this is not in keeping with the tradition of Mezze, to be enjoyed at a relaxing, leisurely pace. 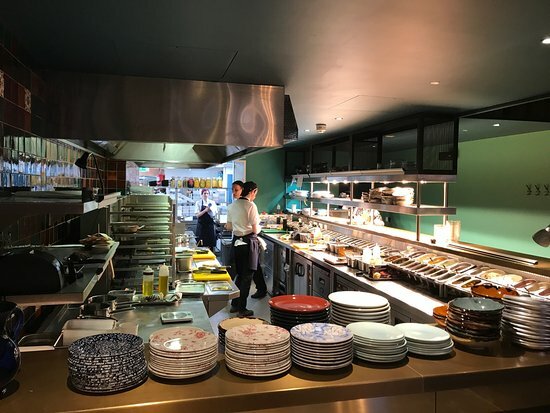 The imaginative concept of BABA has been created in partnership with the Principal Charlotte Square by Katherine Arnold and Robbie Bargh of London’s Gorgeous Group. 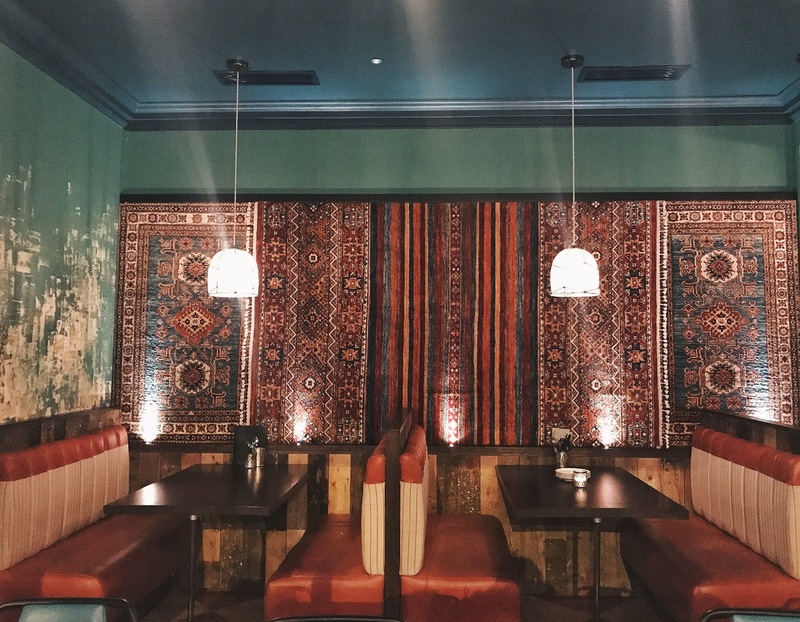 They travelled all over the Eastern Mediterranean looking for inspiration for the menu and design to capture a unique environment to appeal to hotel guests and Edinburgh residents. 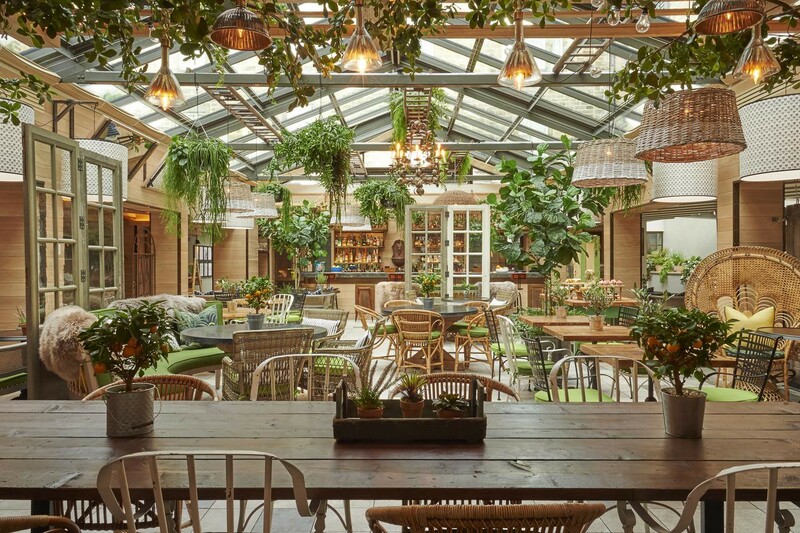 As well as the main Restaurant, around the corner are a smaller dining room, Map Room and Salon for more intimate drinks and snacks with ephemera and artwork on a world travel theme. Enter this magical world where the stage is set for an exciting, romantic, visually-theatrical and culinary journey to entice all the senses; experience a fantastic feast of fine Scottish produce with the exotic tastes and traditions of the Ottoman Empire, following in the footsteps of Mr Baba. 38 Charlotte Square & 130 George Street, Edinburgh. Restaurant dining: 12 noon – 10pm. Cocktail Bar: 12 noon – 1am. 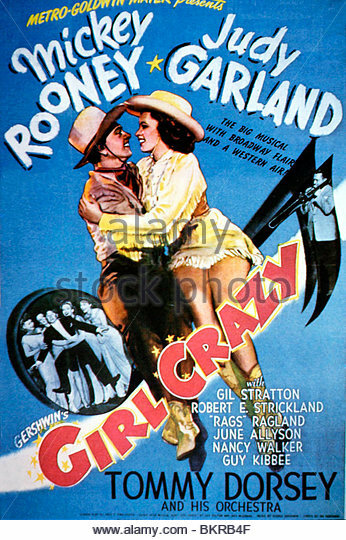 It was later adapted as a movie, starring Judy Garland and Mickey Rooney. 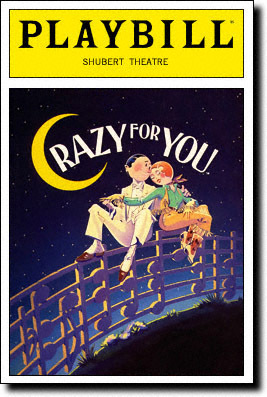 Fifty years later, wanting to recreate this golden age of Hollywood and Broadway, Ken Ludwig revised the show, selecting a collection of those classic songs to devise a new Gershwin musical comedy, “Crazy for You.” This Broadway smash hit ran for 1,422 performances and won the 1992 Tony Award for Best Musical. Frank Rich, New York Times theatre critic, known as “The Butcher of Broadway” for his damning reviews, was seriously impressed: “When future historians try to find the exact moment at which Broadway finally rose up to grab the musical back from the British, they just may conclude that the revolution began last night at the Shubert Theater, where “Crazy for You” uncorked the American musical’s classic blend of music, laughter and dancing with a freshness and confidence”. 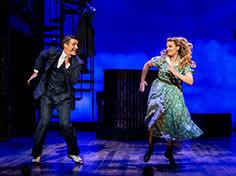 After a successful run at the Watermill Theatre last Summer, this revival of ‘Crazy For You’ is now touring the UK. 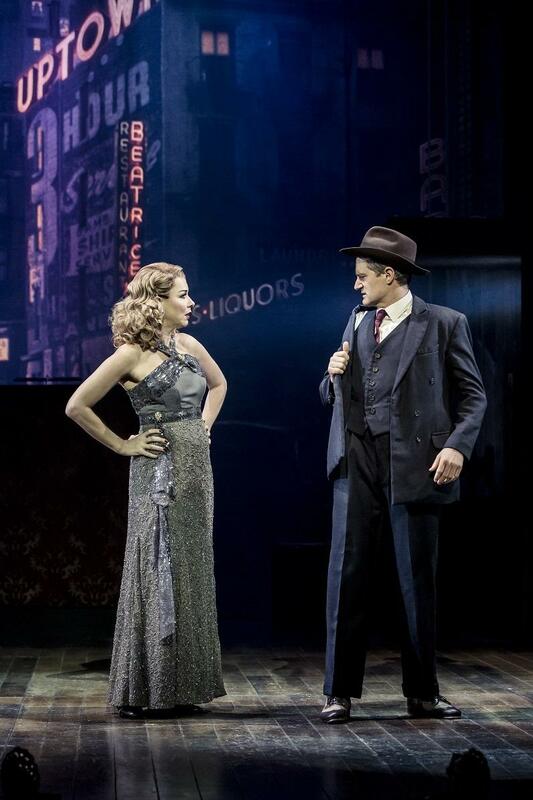 This romantic comedy embraces the typical Show within a Show narrative, (Funny Girl, Cabaret, A Star is Born et al) in which Bobby Child, a wealthy New York banker has a dream of swapping the Waspish world of Wall Street for the glittering limelight of showbiz. Desperate to show off his talent, he gives an impromptu audition to the Hungarian producer, Bela Zangler, gleefully pirouetting across the stage in a bid to join the Follies show. Disillusioned with work, life and love, he seems trapped between two strong minded women, Irene, his fiancee of five years, and his domineering mother who insists he goes on a business trip to a one horse, mining town in Nevada. Given the ultamatum by Irene, to choose between “Me and Deadrock,” he decides to leave his troubles behind and escape to the mid West. 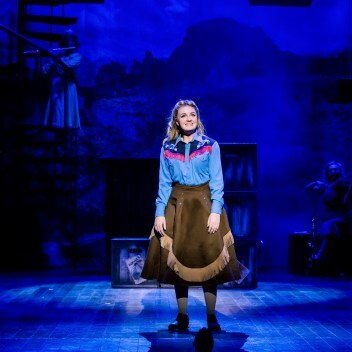 This is the era of the Depression and times are rock bottom in Deadrock – the Gaiety Theatre is being forced to close by the bank and that Bobby Child is on his way to end the family business run by Everett Baker and his daughter Polly. 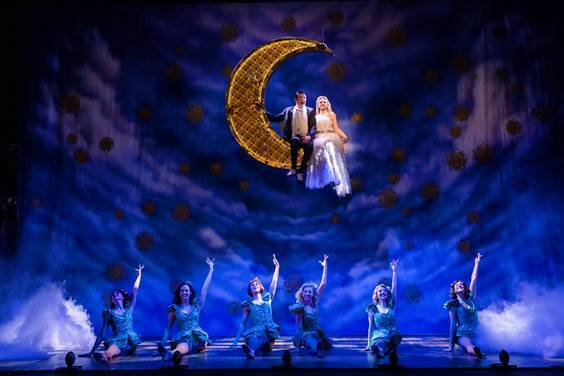 The split level stage set is brilliantly designed, shifting from the Zangler Theatre, NY to the run-down Gaiety, complete with ornate decor, box “ashtrays,” curtains, lighting rigs, costume rails and props. The backdrop neatly switches from skyscaper buildings to the barren, sun-drenched red rock Nevada desert. In his pin-stripe city suit, Bobby looks a tad out of place when he arrives, parched and panting, in Deadrock to find a local posse of dungaree clad, gunslinger cowboys lining up the Saloon. He’s immediately attracted to Polly, a tough talking, ‘Calamity Jane’ kinda gal who quickly shows off her beer bottle skills in an hilarious slick slapstick scene at the Bar. As she clearly won’t be seduced by his dastardly deeds as a banker, the only way to win her over is to plan to save – not close the theatre. Exit Bobby Child into the wings and enter the suave, thickly-accented Hungarian, Bela Zangler, fooling Polly by his impersonation. 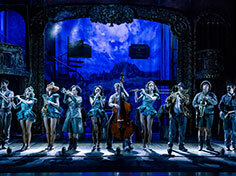 The pop up Producer then magically entices the Zangler Follies to take part in a spectacular show and bring the Gaiety back to life. 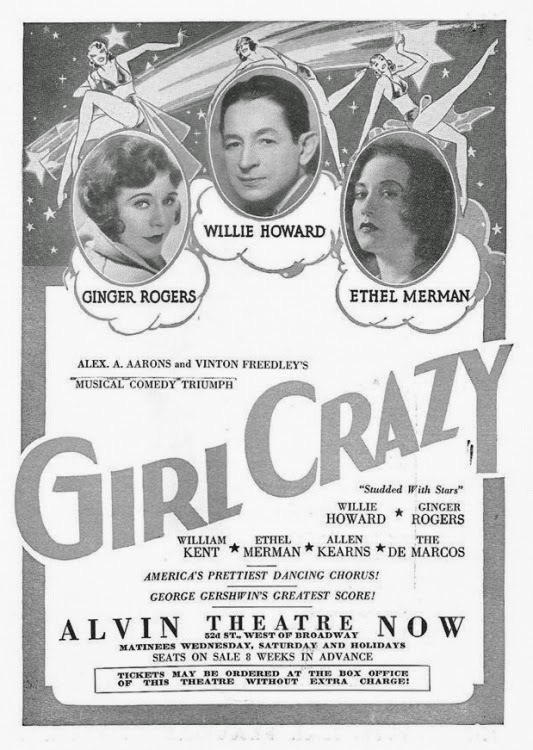 So that is the crazy plot, a sugar sweet, spirited cocktail blending farcical comedy, mistaken identity, romantic entanglements, the narrative interlinking with the gorgeous Gershwin lyrics. 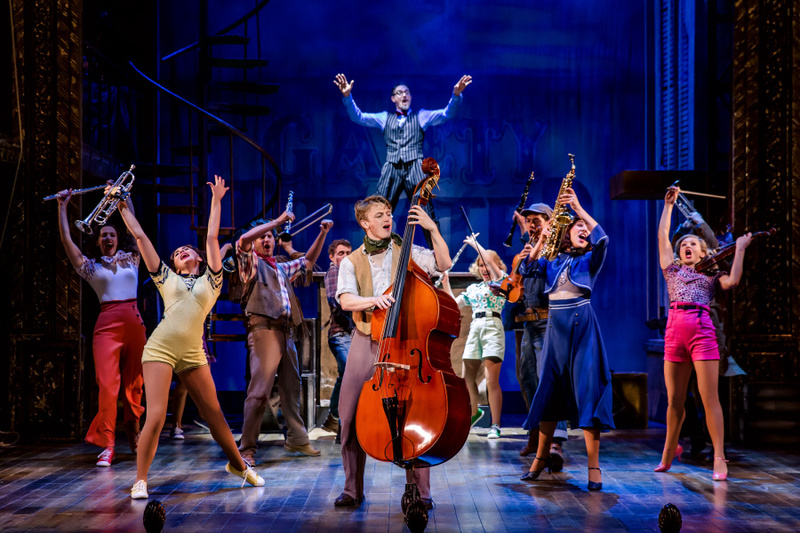 The ensemble of cowboys and chorus line is also the onstage band strumming guitars and banjos, playing alto sax, flute, clarinet, double bass and piano with gusto, to add an extra dynamic to the performances. 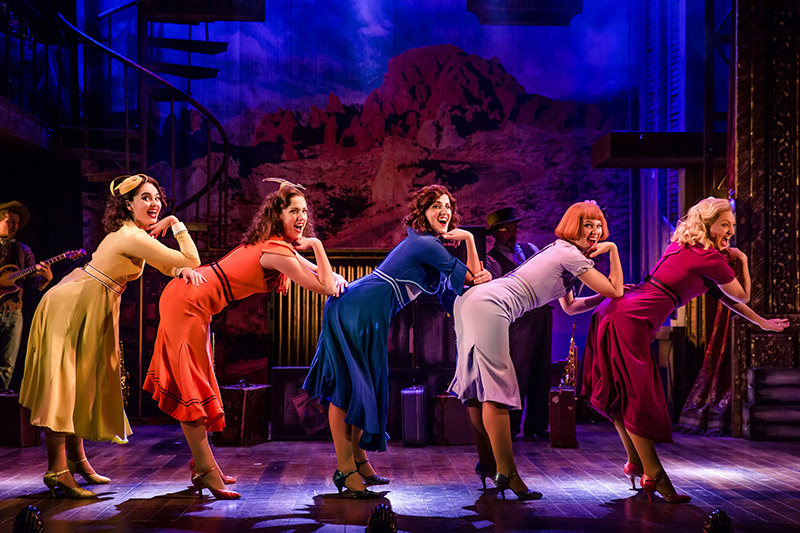 Costumes are all very colourful with the Chorus Line swiftly changing from short frilly green outfits to slinky silk pink, mauve, blue, orange and gold gowns. Nathan M Wright’s inventive choreography throughout is exquisitely mastered with pace and precision, moving seamlessly from jiving jitterbug and lively Lindy hops to clickety click tap shoes. 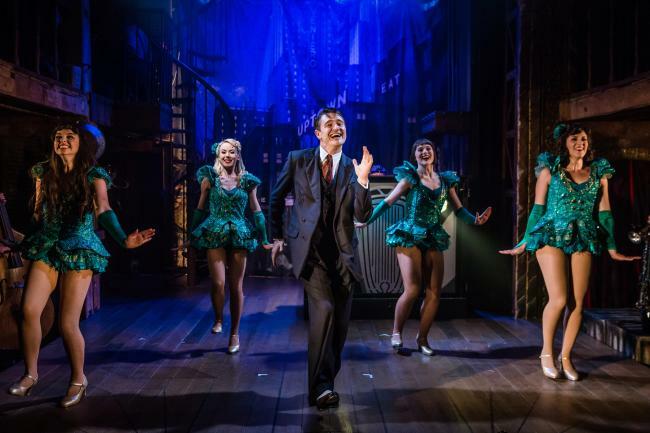 Perfectly cast as Bobby, Tom Chambers, renowned for Strictly Come Dancing and his dazzling performance in ‘Top Hat,’ captures the enthusiasm, boyish charm and exemplary, all round showmanship as actor, singer and dancer. Centre stage, Chambers and Wakefield express the similar, unique chemistry of the Astaire –Rogers double act in a graceful, embracing waltz and vivacious show stopping numbers, “Nice Work if You Can Get It” and the fabulous “I Got Rhythm” tap dancing routine. Talk about energy! 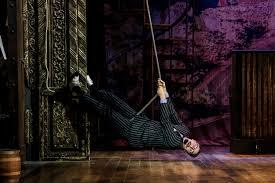 Bobby throws himself into scary stunts, sliding down spiral stairs and abseiling a pillar with acrobatic high flying flair. Sharply, smartly directed by Paul Hart as a fun, frolicking comic caper, the dialogue is peppered with witticisms: when it’s suggested the Gaiety could be used for gambling, the barbed response is “who would travel all the way to a casino in Nevada!” And a couple of British tourists, dressed in safari shorts and hats, are in Nevada to write a guide book – their name? Patricia and Eugene Fodor. It is curious that the cameo role of Irene, Bobby’s glamorous girlfriend (played with vampish style by Claire Sweeney), is listed as a leading lady. This is a small, underwritten character, mainly as a foil to pretty Polly (in her old fashioned gingham frock), to illustrate their contrasting lifestyles in New York and hillbilly country. 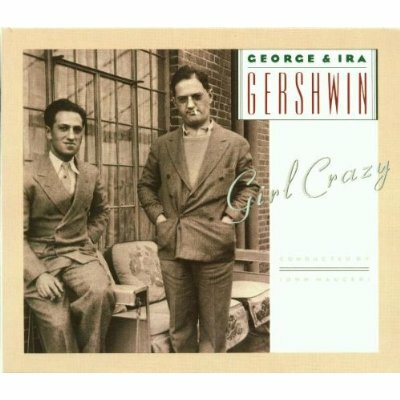 From the opening clarinet solo with the opening melody of Rhapsody in Blue to all the vintage classics, this is a spectacular celebration of Gershwin’s timeless, emotionally charged music. 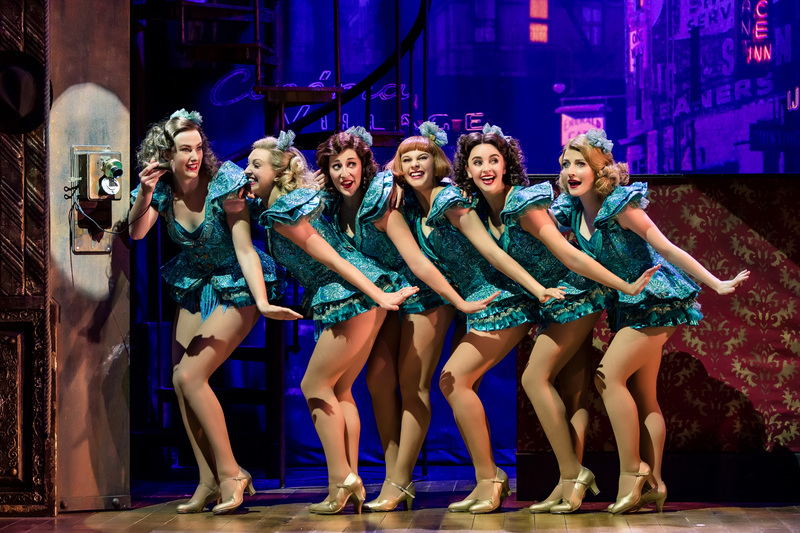 The lyrics say it all – “I got rhythm, I got music, I got my man, who could ask for anything more?” – in this deliciously zany, totally crazy show. Imagine “The Waltons” blended with “42nd Street” and you’ll get the picture. “Chi va piano, va sano e va lontano” is an Italian proverb which roughly translates as “slow and steady, wins the race,” or more philosophically, it means with an easy-going, relaxed attitude, you’ll enjoy a long and healthy life. This is very much the motto behind the Vapiano group of Italian restaurants. First launched by Mark Korzilius in October, 2002 in Hamburg, Germany, it is now a global franchise brand with around 200 restaurants in more than thirty three countries on five continents, and many more planned for the future. 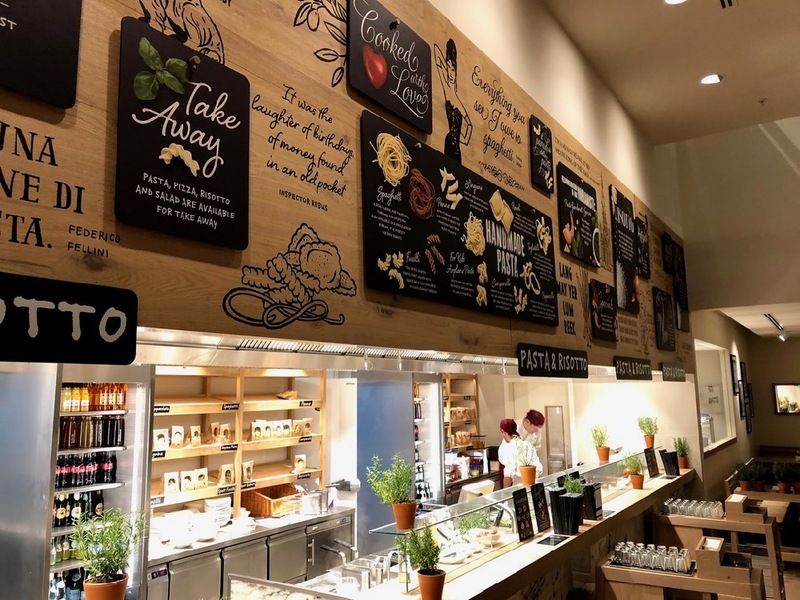 The Euro-chic, casual cafeteria-style Vapiano concept of freshly made pasta and pizza has clearly caught on. 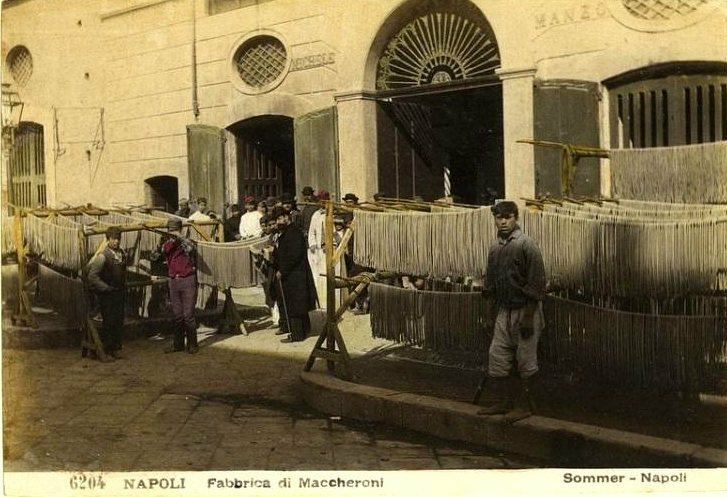 As early as the 14th century, Italian chefs were cooking up ravioli and macaroni with spices and parmesan cheese in Aristocratic kitchens but later pasta, as well as cheap pizza, became the staple diet for poor communities especially in Naples and Sicily. Seen as an exotic dish, spaghetti with tomatoes was first invented in the 1840s. 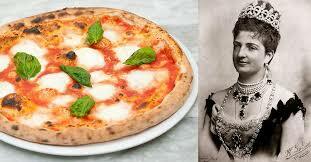 Around fifty years later, during a visit to Naples by Queen Margherita of Savoy, Chef Esposito named the iconic pizza after her, featuring Basil, Mozzarella, and Tomato, the colours of the national flag which put the humble savoury flat bread in the spotlight. 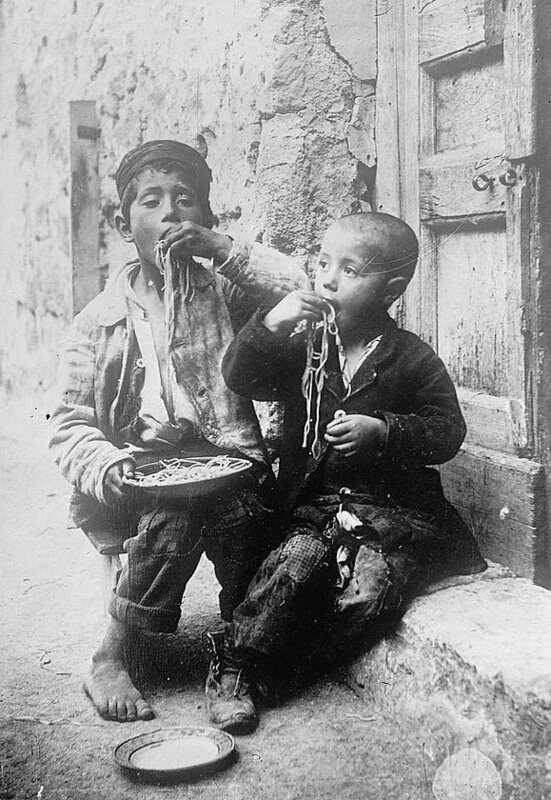 At this time millions of Italian immigrants were forced to travel for work across Europe and to USA, bringing recipes with them. 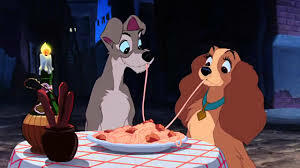 During the 20th century, Americans in particular developed a love affair with pizza and of course pasta – on the big screen, spaghetti played memorable roles in films such as Disney’s Lady and the Tramp. 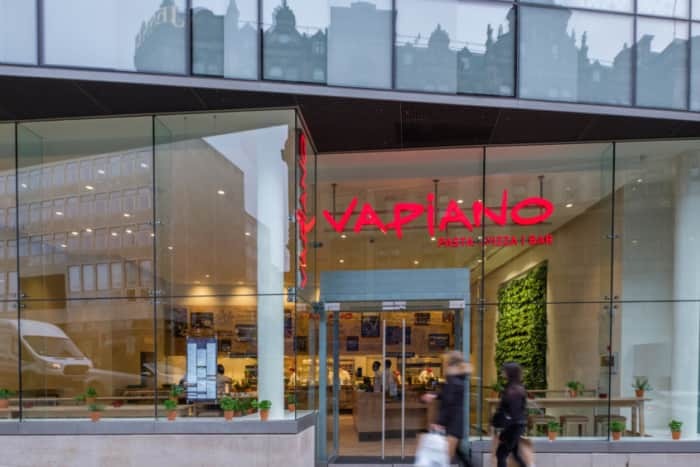 Vapiano Edinburgh is a very smart, spacious, three floor venue on South St. David’s Street, located between The Ivy on the Square on the corner, and T K Maxx. Enter the glass doors to be welcomed at the central Reception desk where you check in with the host/ess and given a credit-style card, like a room key. No you can’t stay overnight!. This is used to scan the price of your selected food and drinks throughout your meal, and then use it to pay. Ken and I were shown around by Jackson, the duty manager, who explained the system of ordering your selected dishes – pasta, pizzas, antipasti, salads, desserts – at the separate theatre kitchens on three levels. 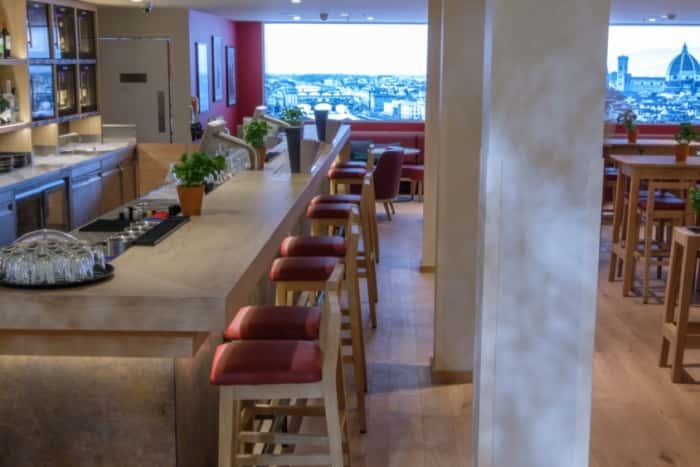 First, time to settle down and relax; we are shown to a table at the end of the mezzanine level, the location of the Bar (very handy! 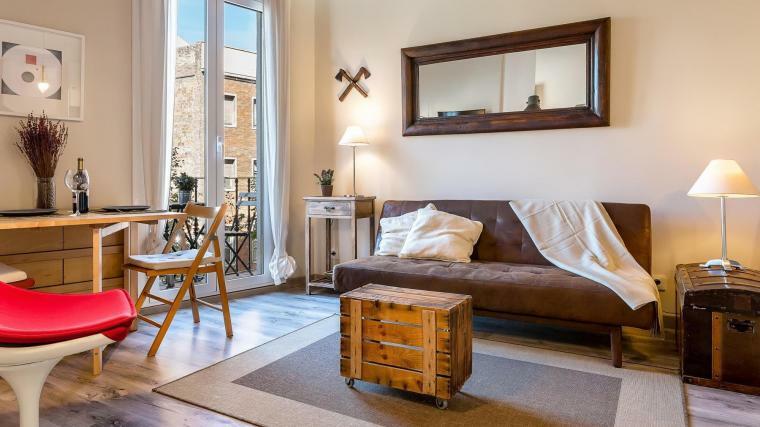 ), with a long banquette as well as armchairs with small, low tables. On the far wall is a huge mural of the skyline of Florence, the Italian city twinned with Edinburgh. Elsewhere, throughout the restaurant, there are long oak communal tables with stools like a wine bar, ideal for groups of friends, families or to create a sociable ambience meeting other diners. With cool music on the soundtrack there’s a party vibe at Vapiano. First stop is the Bar for an aperitif – perhaps a Vapiano G&T, (Hendrick’s with cucumber and rosemary) or a classic Aperol Spritz. We had an ice cold glass of Prosecco each to kick off our Italian meal. Time to order our starter and we went off to view the selection of cold dishes and salads at the Counter where we asked the chef for a Vegetarian antipasti to share. We were given a small “pager” which would beep when this was ready for collection. A few minutes later Ken collected a huge platter of grilled vegetables, artichokes, mozzarella, pesto, fat olives, and chunky bruschetta: fresh, colourful ingredients for the summery taste of the Mediterranean. After a breather, time to consider ordering our main course -it is all so leisurely as you plan your meal, course by course, in your own time. We were both keen to try a Pizza and the menu lists all the favourites but, of course, you can adapt these by adding your preferred toppings to create your own style. The pasta and pizza dough is made daily on the premises and all management staff are trained to be able to assist the chefs with rolling out the dough in case extra staff are required. Upstairs at the Pizza kitchen, Majid, the French Algerian Pizzaoili was most helpful with suggestions – I ordered Gamberetti e Rucola. 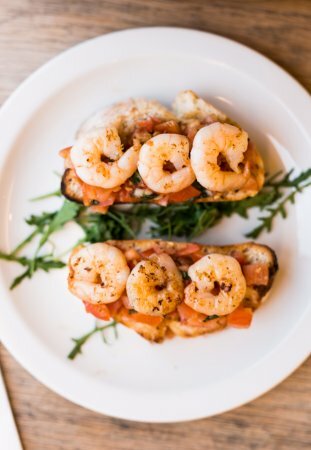 King prawns, rocket, olives, mozzarella and tomato sauce, while Ken chose his favourite Tonno, Tuna with red onions, tomato and mozzarella with extra rocket. I asked for mine to be extra soft so that the crust is not too crunchy. Again we were given a timed pager to alert us when the Pizzas were cooked. From the wine list we selected a bottle of Montepulciano (a very reasonable £16.95), rich in spicy berry fruits. Within a few minutes, the pager beeped and we were off again to collect our pizzas. Mine had been taken out a minute early that the normal baking time for a softer texture – and we carried these back to our table. This self service concept is fine to a degree, but I didn’t really like having to clamber down the steep stairs with my plate in one hand, and clutching the hand rail in the other, expecting to trip any second!. On the tables are bottles of olive oil and fresh basil plants so that you can add herbs and flavour to garnish your dish. 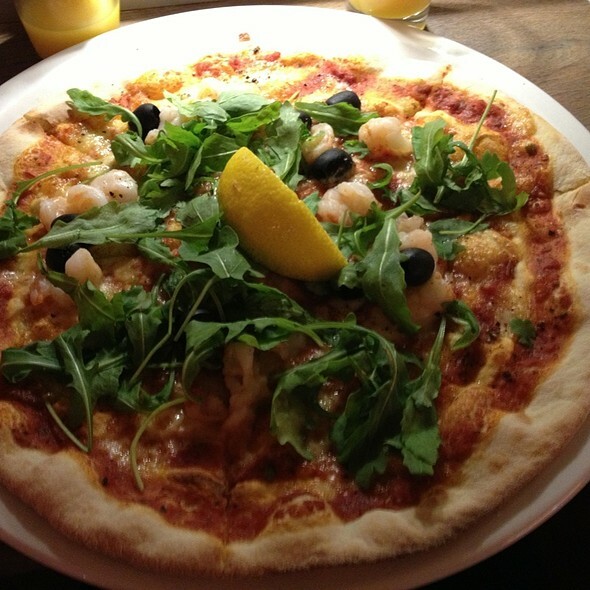 Pizza with king prawns, olives and rocket – yum! Sipping our wine and munching our delicious fishy pizzas, this was a feast, especially after a huge salad to start, so I asked if it were possible to take half of mine away. No problem and it was quickly boxed up. 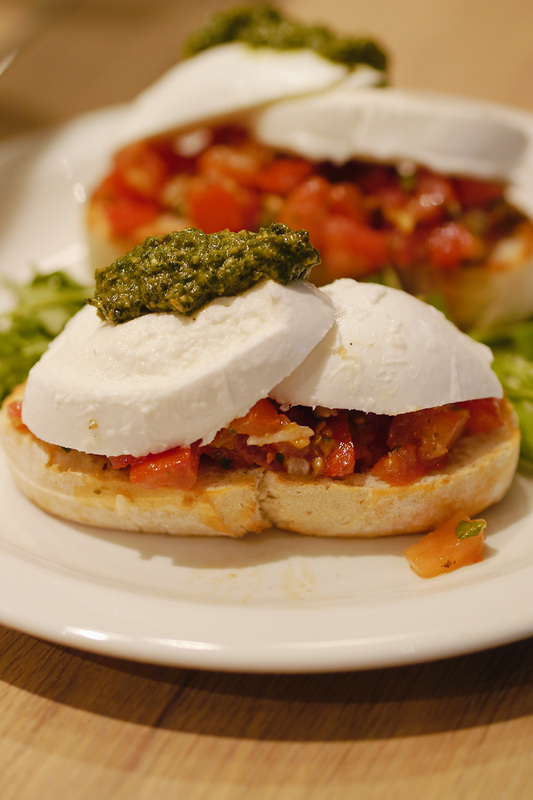 Good news – Vapiano offer a take away service so that you can enjoy this freshly made, seriously good food at home. 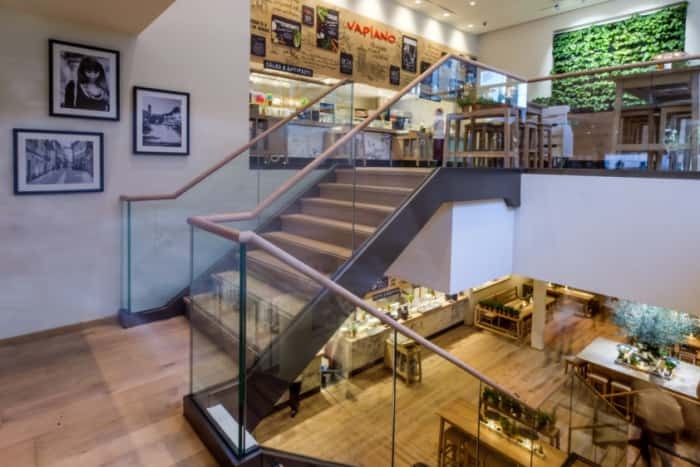 Our passion in the UK too for Italian cuisine has no sign of falling out of favour and a global favourite of all ages so no wonder Vapiano are opening more and more restaurants across the globe. The opening in Edinburgh was the first in Scotland, (fifth in the UK), with a Glasgow restaurant just recently launched too.